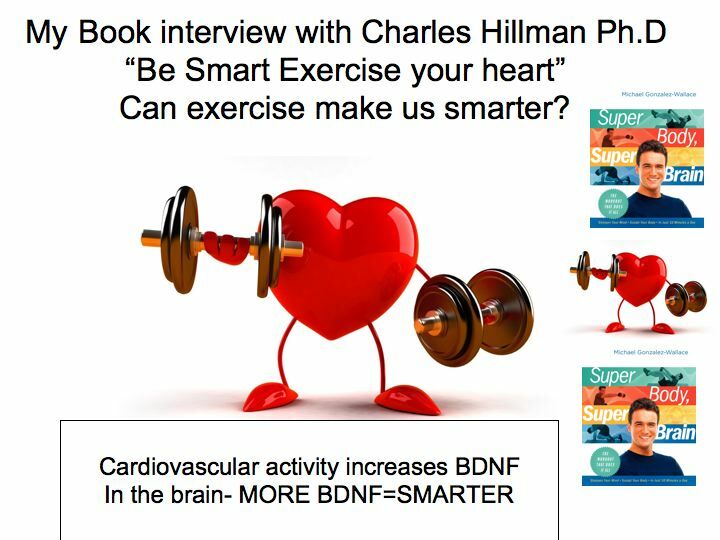 MGW: In your article : “Be smart : Exercise your heart – exercise effects on brain cognition” – your premise is that exercise can make us smarter. Were you surprised by the results of your research that led to these conclusions? CH: Not at all! There were several researchers before me who had dabbled in this area, providing me with a small literature to formulate my hypotheses. Further, my work fits within the theoretical views of Dr. Frank Booth and Dr. Fernando Gomez-Panilla, both of whom suggest an evolutionary link between physical activity and brain health. They work independent to one another, but have similar ideas in that they both suggest that our ancestry included genetic programming for physical activity. After all, our hunter-gatherer ancestors needed to be mobile and use both brain and body to capture food. Stated another way, they had to spend energy to make energy. Despite the fact that our genetic programming has not changed, our behaviors have and we (as a society) no long spend energy to get energy, which has led to a number of health-related disorders, especially among our youth. From my perspective, drawing the link between brain and body has been fairly easy. The hard part is getting people to move again.